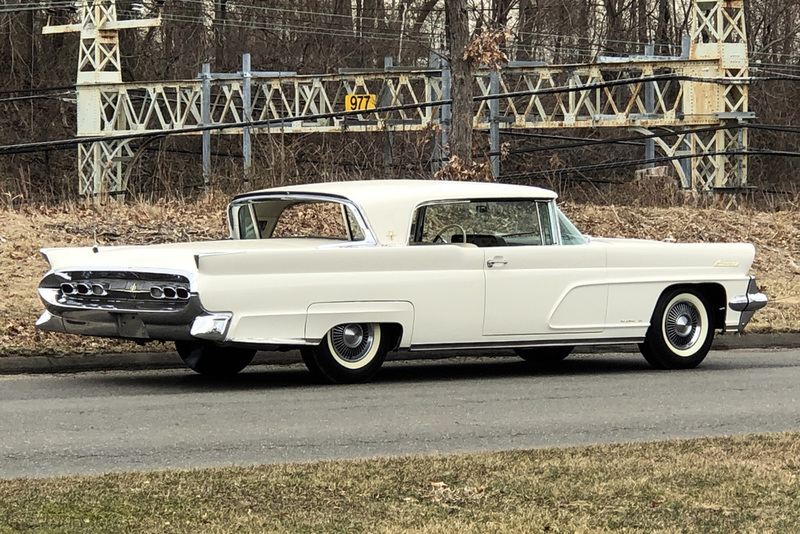 Beautifully preserved and maintained 1959 Lincoln Mark IV Two Door Hardtop. This car has been in the same ownership hands for many years and it has been fastidiously maintained the entire time. The car is entirely original with 27,000 miles and has only received one very high quality repaint during its entire life. 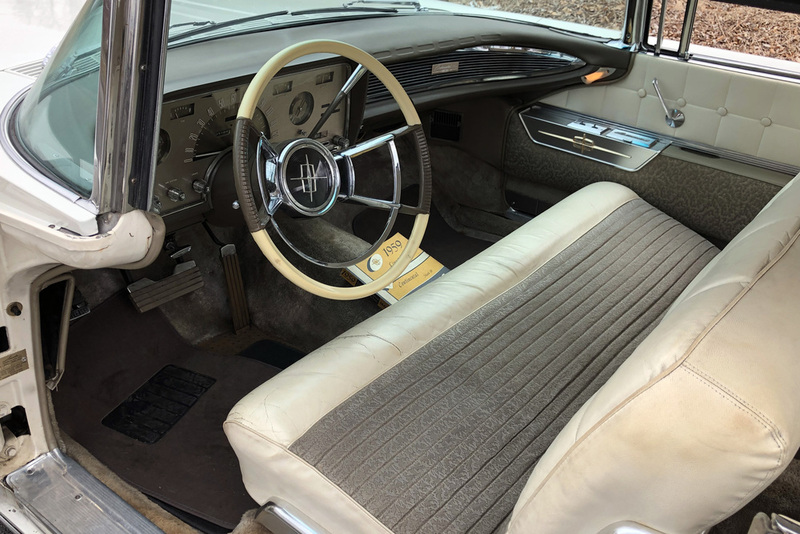 The interior, sheet metal, glass, trunk, floor pans, everything are original. There is no rust on the car and minimal if any rust repair. The floors are solid originals and the trunk is also completely original with original liner and jack in place. The doors open and shut perfectly, the car starts and runs beautifully. All of the chrome and trim on the car appears as if its been restored. I believe it to be totally original. Only the door handles have some very small signs of pitting. Everything else is beautiful. We've safety inspected the car and serviced the brakes and replaced the mufflers. We've also adjusted the carburetor so the car runs great. All of the instruments and controls work. All of the gauges work perfectly as well. The car has a power antenna with its original signal seeking AM radio. All of the windows go up and down perfectly including the 'Breezway' window in the rear. The remote trunk release works perfectly including the indicator light which functions as well. All of the interior and trunk courtesy lights work perfectly as well. The car has an owners manual in perfect condition. All in all, this is a very high level and well-maintained driver car. I think you'd be hard pressed to find a better example.